is honored on Panel 5W, Line 89 of the Vietnam Veterans Memorial. You are my uncle, an uncle I wish I had the chance to meet. You were taken away from us to early, before I was even born. I so enjoyed hearing all of the stories about you, and your bravery. You didn’t have to go back for that last mission and you were done, but you went back because your fellow brothers in arms needed you, and that’s when they struck your helicopter. To this day your body has not been found, not even your dog tags. We miss you. We will always be thinking of you. You will never be forgotten. As my children get older, I look forward to tell them all the stories about you. I am glad my dad named me after you. I will keep the Stewart name alive and well. I named my second son Paul as well. Some day we will all meet up again in heaven .. a family reunion. Paul, I was assigned to the Phoenix, Company C, 158th Aviation Battalion before you and am the unit historian. You are listed in the history and will not be forgotten. I have been wearing CWO Stewart's MIA bracelet for over 30 years. I am happy to finally see a picture of the man I think of every day. 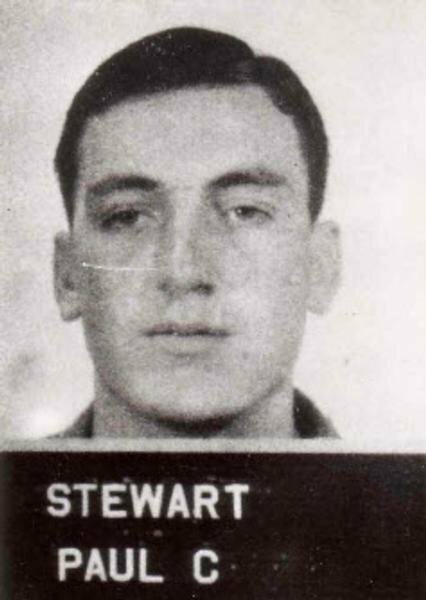 Today I uploaded a photo of you, CWO Paul C. Stewart, you are no longer a Name without a Face! You are loved and missed! We continue to pray for your return! Thank you for your Service!